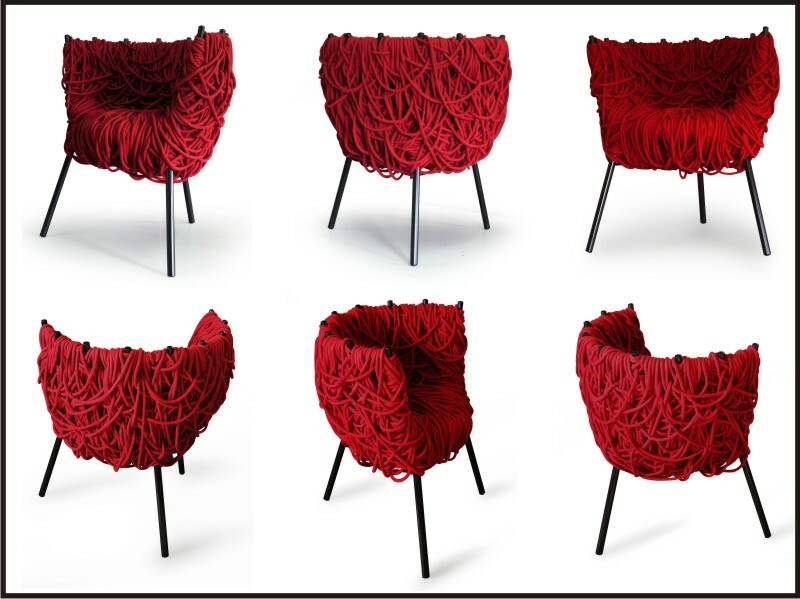 The Campana Brothers (Humberto Campana, b. 1953 and Fernando Campana, b. 1961) are noted Brazilian designers. In 1983, the two brothers teamed up to develop furniture made by ordinary material - including waste products such as cardboard, rope, fabric and wood scraps, plastic tubes, aluminum wire. By the early 90s, they had already gained considerable international acclaim, notably in Europe and in the United States. Some of their products also began to be produced and sold in Italy. Their breakout design of the Vermelha chair is still their best seller.